This year probably is the best Oscars you’ve ever watched in the entire history of Academy Awards and it’s still buzzing worldwide in social media held at the DolbyTheatre last March 2. There were many amazing and funny moments that happened during that night especially mentioned to Ellen Degeneris who made this year’s Oscar so colorful. 1. Jennifer Lawrence falls down on the red carpet - Jennifer appears to have fallen down after stepping on the dress of a woman standing in front of her at the arrivals spot on the red carpet. Jennifer also falls down last year while accepting her award. 2. Ellen DeGeneres' awesome moment - Ellen DeGeneres kicked off the show with a great start of awesome monologue where she mentions a ton of the stars in attendance. Ellen generously ordered pizza where she handed it out personally to the crowd, she even took an epic famous selfie of all time with the biggest stars, even dressed up as quirky Glinda, the Good Witch. Ellen keeps on tweeting throughout the show. She also made an awkward moment using Pharrell's hat to collect money to pay for the pizza, and Lupita Nyong'o gives her a lip balm. 3. 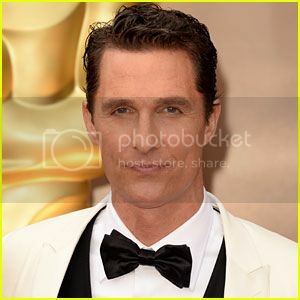 Matthew McConaughey for Best Actor - Matthew won his very first Oscar at the 2014 Academy Awards with his impressive transformation in the film “Dallas Buyers Club”. 4. Cate Blanchett for Best Actress – Cate once again swept awards every season for Best Actress as a slightly nutty woman in “Blue Jasmine”. 5. 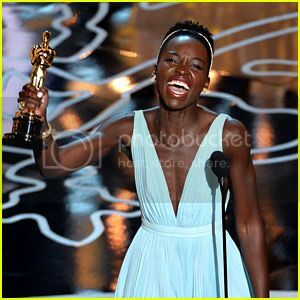 Lupita Nyong’o for Best Supporting Actress - Lupita keeps on smiling for joy while accepting her Award from her role in the movie “12 Years a Slave”. 6. 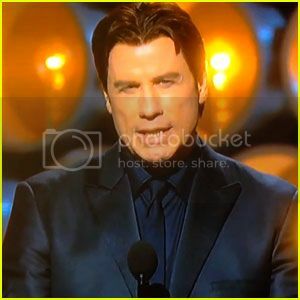 John Travolta created a new name for Idina Menzel - John Travolta had a hard time with the pronunciation of Idina Menzel‘s name while presenting her performance at the 2014 Academy Awards. He make up a name like “Adele Dazeem” instead of her actual name along with his presentation. Netizens created a word “travoltified” after the event. 7. Frozen's Idina Menzel Performs 'Let it Go' at Oscars – this song win Best Original Song that night. Epic #Oscars to date! Always loved Ellen as a host. She made A-list stars more accessible to the public via live tweets.